Are you ready to get rid of the roommates? We’ve got your back with our dedicated server hosting solution. You’ll have the freedom and flexibility to grow without being affected by other sites on the same server. Shared hosting environments, although very reliable and cost-effective, can be affected by other site processes, scripts or activities from others sharing the same machine; think of it like you’re a resident of an apartment complex; all of you live in the same building, share the same resources like electricity, gas, and water. Shared hosting is a lot like that. 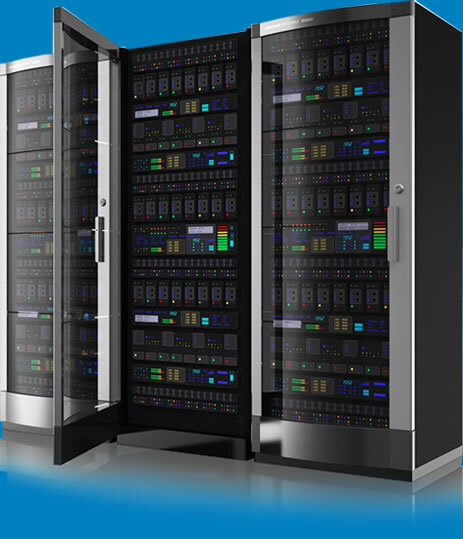 With a dedicated server, YOU have exclusive control and access to that machine. Because you are the only one on your server and enjoy autonomy, you can expect a higher level of performance and greater computing capacity. Dedicated servers will increase your processing speed and reduce page load time, allowing for faster access to your site than with any type of shared web hosting. In other words, you are the builder of the apartment building and have full control to decide how many apartments and how to split the resources resulting in more security. With shared web hosting, permissions are set up to restrict users from your directories and files. However, dedicated servers provide an extra layer of protection where you, and only you, have access to your machine and can severely restrict access to your server from the outside world. Dedicated hosting provides a cost-effective and management friendly solution to multiple domain hosting. Rather than dealing with the burden of numerous accounts on shared hosting servers, you can host a virtually unlimited number of domains on a single dedicated server. With our server management software, it’s easy to create, manage and delete accounts whenever you want, and all from one interface.